CORVALLIS, Ore. – The tsetse fly, also known as the “fly of death” and the “poverty fly,” is the primary means of transmission for the parasite that causes trypanosomosis. Known as sleeping sickness in humans, trypanosomosis is a serious disease that threatens millions of people across 36 African countries and causes billions of dollars of livestock and crop losses. Without a vaccine to treat the disease, health officials have begun an eradication campaign that if successful would result in the extinction of the entire tsetse fly family. They are using new, more effective technologies including releasing irradiated male flies that sterilize females, and impregnating cattle and pigs with pesticides, effectively using them as live bait. 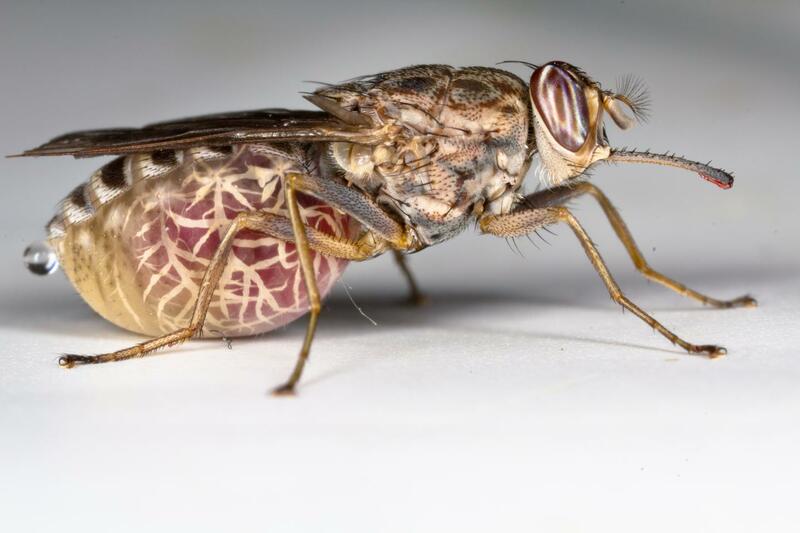 In a paper just published in the journal BioScience, two Oregon State University researchers argue that human-caused extinction of the tsetse fly would be unethical, but elimination campaigns targeting isolated populations of the fly are ethically defensible. Most at risk of contracting sleeping sickness, which is nearly always fatal if not treated, are those in remote rural areas dependent on agriculture, hunting and fishing – areas with limited access to adequate health care. Without a vaccine, officials are focused on controlling the tsetse fly. Nelson and study co-author Chelsea Batavia, who recently completed a Ph.D. in the College of Forestry at Oregon State, say the ethical aspects of intentionally wiping out the family’s 31 species must be considered despite the significant harm the flies cause to humans. “You really need to weigh arguments built around two different types of values of the species at local and global scales: instrumental values and intrinsic values,” Nelson said. A species’ instrumental value refers to its “utility or function as a means to an end.” It can also refer to “disvalues,” aspects that detract from human well-being, such as the tsetse fly’s role as a disease transmitter. Intrinsic value refers to value beyond and/or regardless of any utility or disutility a species gives to humans. But these utilitarian calculations aren’t so simple. Would tsetse fly eradication have an adverse effect on the food chain? Would eradication techniques harm non-targeted organisms in addition to tsetse flies? Would there be consequences for protected areas – i.e., would tsetse fly eradication increase human and animal encroachment inside or near animal preserves, protected forests, etc.? Would eradication create an empty ecological niche that subsequently would be filled by another species that caused even more human harm than the tsetse fly? And those are just questions dealing with the instrumental values. The ethics become more complex when the tsetse flies’ intrinsic value is brought into the equation. Rather than global eradication of the species, targeted elimination of certain populations of tsetse fly would minimally harm the species but greatly benefit human and animal health and well-being, the researchers say. Joining Batavia and Nelson as co-authors were Neil Carter of Boise State University and Jérémy Bouyer of the French Agricultural Research Centre for International Development. The European Research Council and the National Science Foundation supported this work.